Acquisition enriches Winmo's agency dataset and secures its position as the most widely used and highly rated B2B sales intelligence provider for the advertising industry. 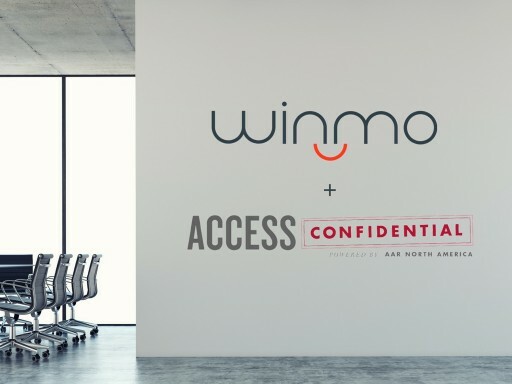 Winmo, a product of List Partners, announced today that it has acquired Access Confidential - a move that solidifies the company’s standing as the market-leading B2B sales intelligence provider to agencies and the wider advertising industry. The acquisition delivers on the company’s mission to provide the most comprehensive and forward-looking sales intelligence, empowering agency new business professionals to reach the right prospects at precisely the right time. “We’re excited to combine our world-class B2B sales intelligence platform Winmo with Access Confidential’s industry-renowned agency database to further accelerate our growth and provide the advertising market with the mission-critical new business intelligence they need to thrive,” said Dave Currie, CEO of List Partners | Winmo. A broader network of support to help users prospect more efficiently. Increased investment across research and product development to fuel more comprehensive data gathering and strategic product integrations that fit into customers' daily workflow. Access to new applications like WinmoTalk’s exclusive social sales community and WinmoEdge’s predictive intelligence. Starting immediately, both teams will collaborate with customers and stakeholders, working to assess and integrate key technology and data from the respective platforms. Winmo and Access Confidential will move forward as one company serving the same mission: to accelerate agency new customer growth by delivering the highest quality of data and sales intelligence in the world. With a history as competitors, Winmo and Access Confidential have maintained offerings that, while overlapping, have been focused on different aspects of agency business development. Now, the combination of those different focuses will provide customers a holistic, best-in-class new business solution. “While Winmo has strategically been focused on building a highly predictive platform that serves multiple markets in the advertising ecosystem, including martech, media and sponsorship, Access Confidential has focused on deepening their agency focus and dataset. Combining these different focuses will strengthen our agency new business intelligence and bring tremendous value to our customers moving forward,” said Dave Currie, CEO of List Partners LLC. To learn more: Visit our dedicated FAQ page. Winmo is the leading B2B sales intelligence provider for the advertising industry. Taking the guess-work out of prospecting, we guide those who target national advertisers and their agencies to the right decision-makers, on the right accounts, at the right time. While providing the most accurate contact and brand-agency relationship data available in the media and advertising industry, Winmo also predicts sales opportunities on the horizon - tracking subtle industry shifts that in return provide clients with forecasted new business leads months before they happen. With access to verified sales intelligence, intuitive features and forecasted opportunities, Winmo users don't chase new business leads, they get out in front of them. To learn more about Winmo, visit Winmo.com. Access Confidential is an agency new business service center empowering agency new business executives to prospect corporate marketers more efficiently and effectively. A key resource for agency new business, Access Confidential’s agency database includes over 25,000 company profiles and 100,000 executive profiles with key contact information. Based in Bethesda, Maryland, Northlane Capital Partners is a private equity firm that invests in control buyouts of middle-market companies based in North America. NCP focuses on three sectors: healthcare, outsourced business services and industrial technology. NCP generally looks for platform companies with EBITDA of $5 million to $30 million. To learn more about Northlane Capital Partners, visit NorthlaneCapital.com.